baxus’ appointment book is now mobile friendly, making it easy to view and update it no matter where you are or which device you’re using. 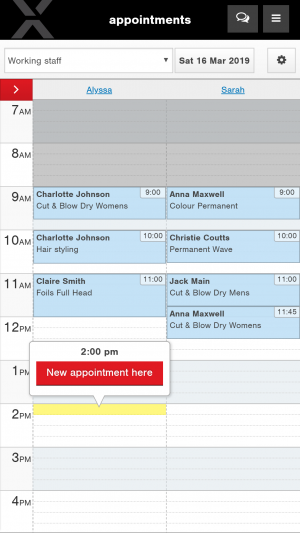 When you use the appointment book on your mobile or tablet, you’ll notice some changes that make it easier to use on a smaller screen. 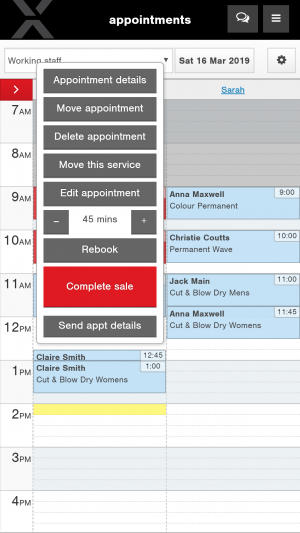 Making a new appointment on the go or while you’re with your clients is easy. 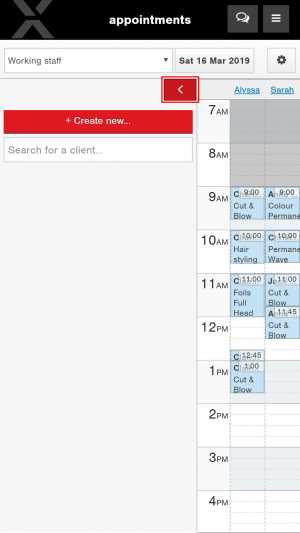 Just find and tap the correct time slot, and select ‘New appointment here’. 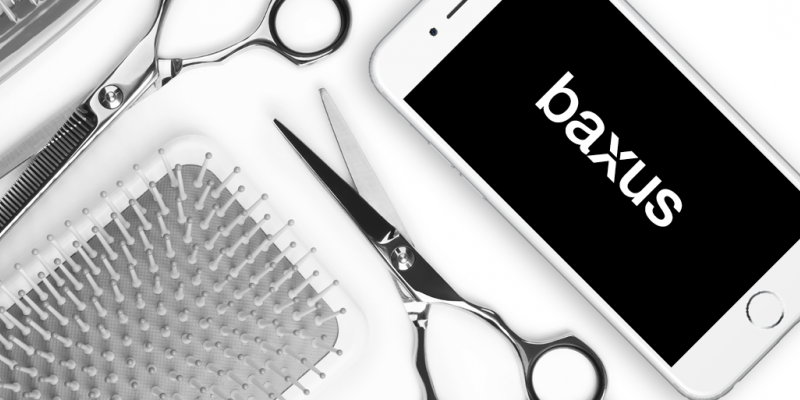 Tap on an appointment and you’ll have the option to make any changes you require. To add or search for clients tap the blue arrow above the time column to expand the sidebar, and tap it again to hide it. 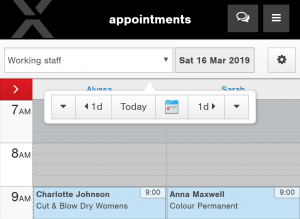 In the new top navigation bar, you can choose to see all staff, working staff or just an individual’s appointment book. The date selector lets you choose which date you want to view with just a touch. 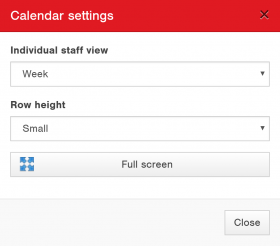 The new settings button at the top right of the screen lets you to adjust your calendar view so it works for you.